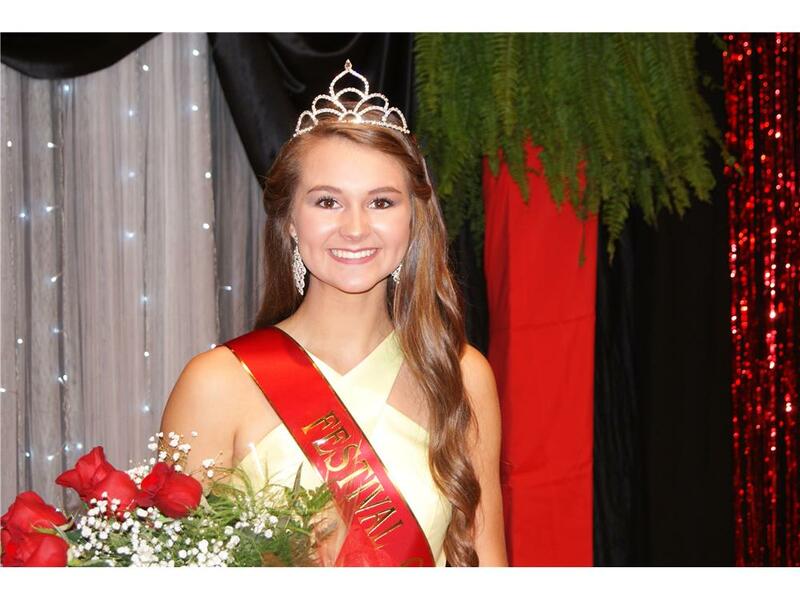 Logan County High School senior Presley Harris was crowned queen of the Logan County Tobacco & Heritage Festival last week in ample time to reign over the entire event. A softball player for the Lady Cougars, she walked away with a prize package from sponsors Trembley Pool & Spa, Gerald Printing, Salon Elle & Spa and Lost River Creamer, a beautiful tiara and sash, a dozen red roses, and—when she’s ready to go—a-$1,000.00 scholarship from the Logan County Chamber to the college of her choice. 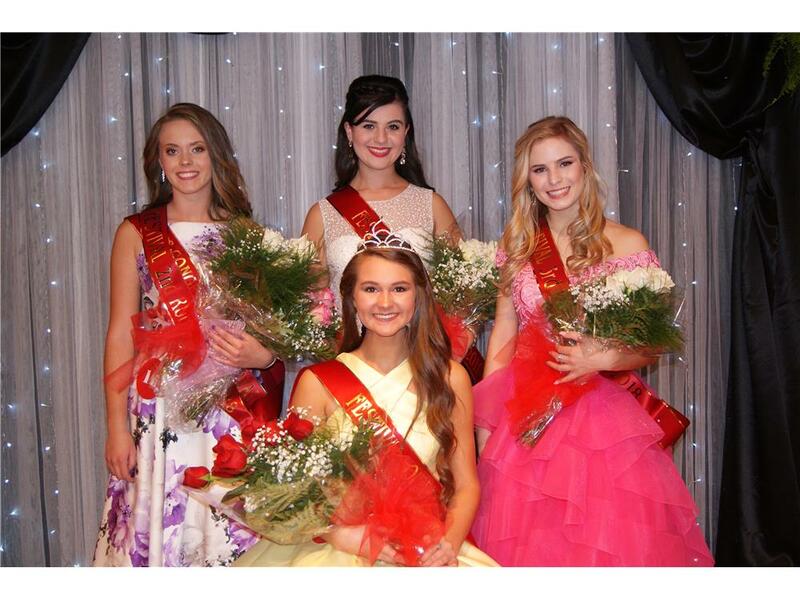 In her court are first runner-up Madelyn Yonts, second runner-up and Miss Congeniality Olivia Sigers, and third runner-up Ali Atkinson. Joining them in the top eight were Zoe Steenbergen, Rylee Warden, Abby Hinton and Alexis Rosser. 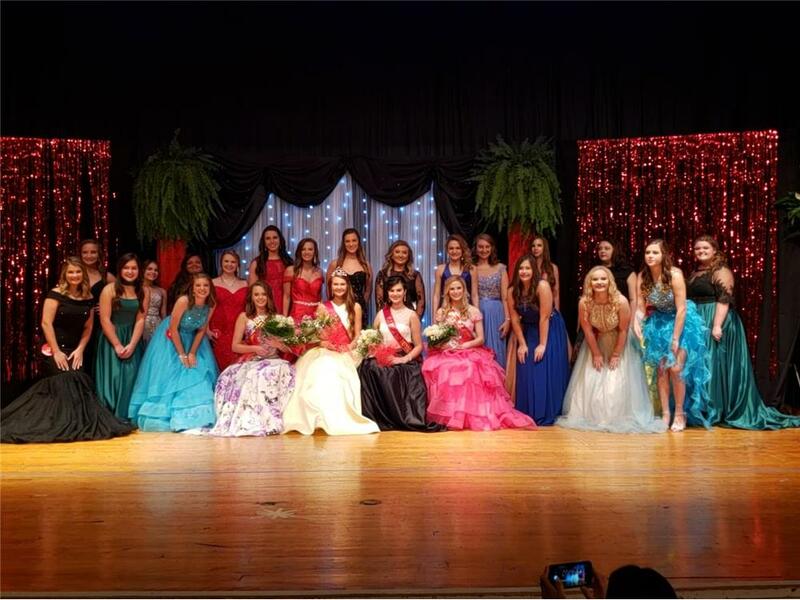 Other pageant participants were McKenzie Kempf, Lilly Elma, Kaitlyn Miller, Morgan Parker, Monica Yates, Paige Thorpe, Autumn Taylor, Cheyenne Carter, Hannah Matthews, Riley Thompson, Xa Vaughn, Micah Page, Summer Thomas, Chelsea Sigers, Shelby Cross and Emily Holt. 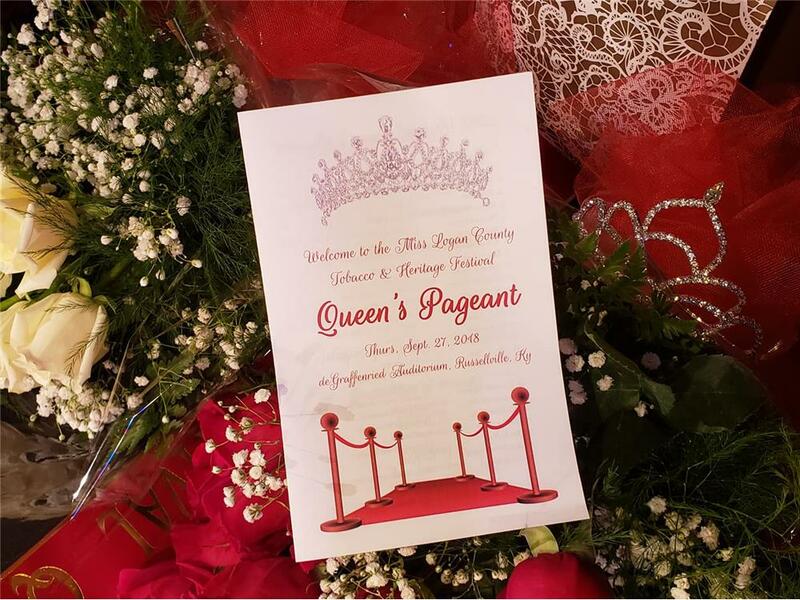 “Our 2018 Logan County Tobacco & Heritage Festival Queen’s Pageant was the largest participated in and attended we’ve had in years with 24 beautiful young ladies all competing for Queen and well over 200 in attendance to watch them take the stage! The Logan County Chamber would like to thank Polly Steenbergen, event chair, as well as her mother, Amy Cowan, co-chair, for their organization and instruction of our contestants. Also, to our sponsors, Logan County Fiscal Court, H&H Sheetmetal, and the Logan County Chamber of Commerce. To Richard Estes for the sound and music, Eddie Brooks for lighting, Hickory Hill Florist & Garden Center for the beautiful Queen’s court roses, Oak n’ Ivy Florist for the beautiful greenery, Trophies to Go for the Queen’s tiara and sashes, and our many volunteers; Adam Haley as Master of Ceremonies, Ambassadors Jeff Manley & Tracy Houchens at the admission table, as well as Kim Reeves, Ann-Michele Angel, Lisa Boone, and Dana Boone for your assistance. “To everyone that helped to make this event run smoothly, the parents of our contestants for your participation, hard work, and encouragement and to the community for your support and attendance at this event…thank you! 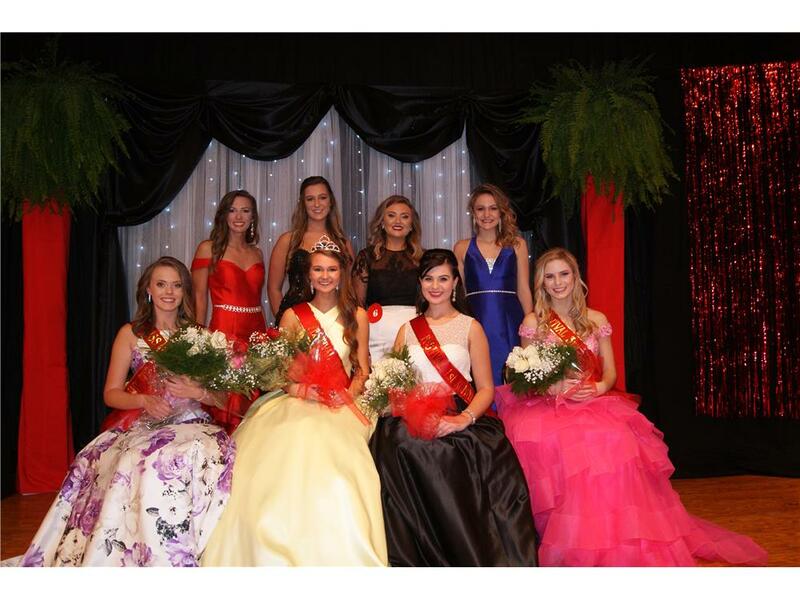 “The Queen’s Court will be riding in the Logan County Tobacco & Heritage Festival Parade on Saturday, Oct. 13! We hope you’ll plan to join us for this and many other festivities to take place on Festival day!